Located in the heart of America in the southeastern portion of Iowa, Lee County not only embodies Midwestern charm, but is home to a multitude of Fortune 500 and international companies that are continuously growing. Located along the Mississippi River and centered between Interstates 80, 35, 55 and 70. Goal: Ensure an adequate workforce that meets the current and future needs of our employers. One-on-one Synchronist interviews were conducted with industries representing Lee County’s top 20 employers. These companies represent over 4,000 workers, or 94% of manufacturing employees in Lee County. Data from the Synchronist interviews determined workforce to be the No. 1 Business Retention and Expansion issue facing Lee County industries. Lee County EDG has hosted 15 Talent for Today and Tomorrow over four years to solicit input from our investors and Lee County stakeholders. Information from these meetings, combined with data collected from our Synchronist interviews, to form a program of action called Grow Lee. 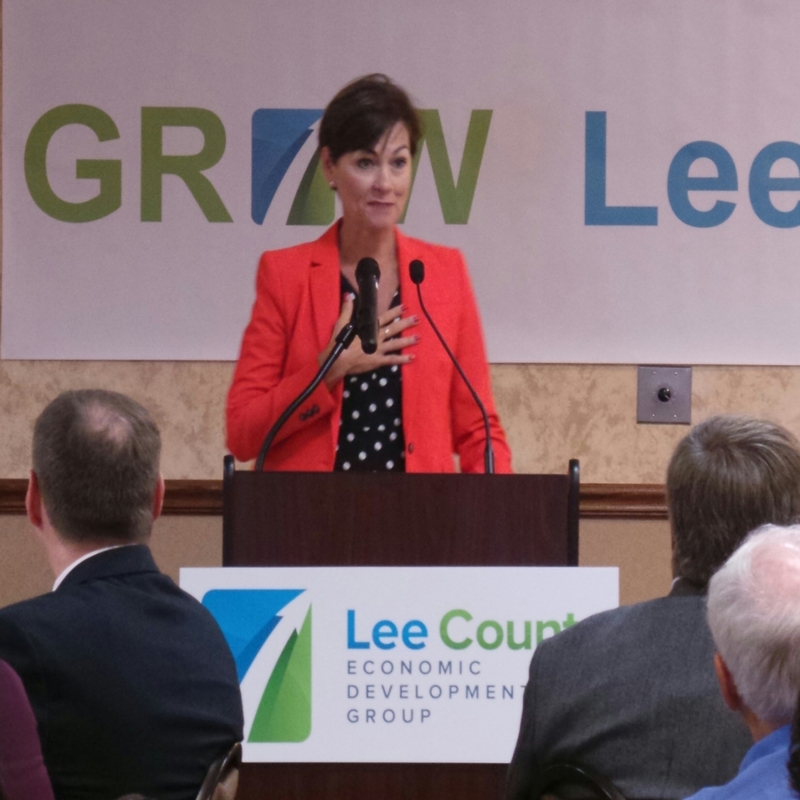 Initially, Grow Lee consisted of 10 workforce initiatives however through collaboration it has expanded beyond the original programs. The initiative was designed to develop a pipeline of workers for current and future careers. The programs included a Lego Robotics program for elementary school students, to an employabiltiy class for high school students called 12 Plus, and up-training our existing workforce through stackable certificates utilizing our community college's new Industrial Technology Center. Lee County schools had the opportunity to get new equipment to prepare their students for future careers thanks to Climax Molybdenum. Central Lee Ag Instructor Tom Boeck stated, “We’re grateful that they thought of us and it will make a big impact on the students.” All three Lee County public schools were invited to look at the equipment Climax was hoping to donate and choose what would best fit their programs. “We are pleased to support our local schools and provide equipment that helps prepare students for the 21st century workplace,” said Javier Guevara, General Manager-Fort Madison. 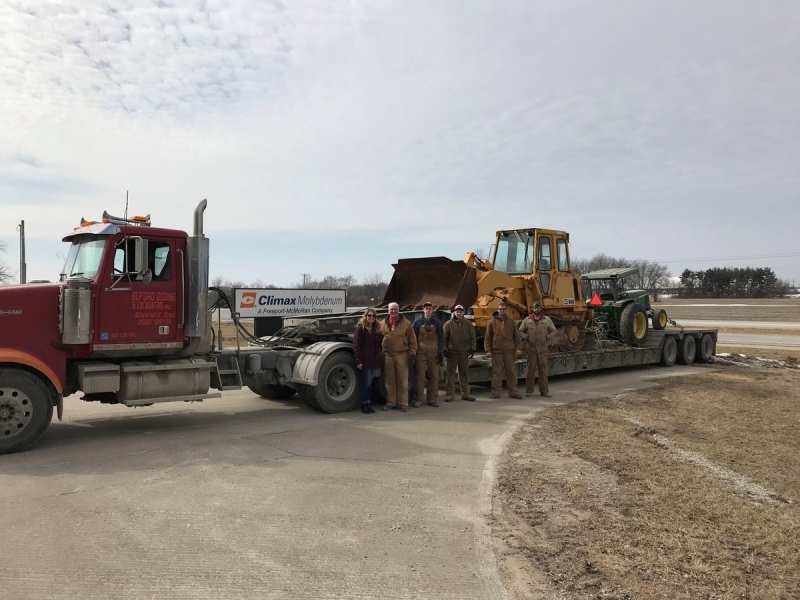 Central Lee received the CAT Track loader and John Deere 970 tractor pictured above along with other smaller equipment while Keokuk Community Schools received a portable welder. Students from across the region attended the SE Iowa's Career Exploration Day. Lee County EDG partnered with the Greater Burlington Partnership and Southeastern Community College to have 1,032 fifth and eighth grade students, 160 of them from Lee County, explore 6 career paths. Community and business leaders, economic development groups, elected officials and students from Southeast Iowa visited the capital to talk to legislators about the priorities for the region. Over 100 individuals, including 26 students from 13 high schools, discussed state issues with the Iowa Chamber Alliance, heard an update from the Iowa DOT Director Mark Lowe and furthered the conversation with Debi Durham regarding workforce, the expansions of current industry and the attraction of new businesses to SE Iowa. Students from Lee and Des Moines County, as well as students from Warsaw and Clark County attended Southeastern Community College's Industrial Technology Day at the Keokuk Campus. ConAgra, Sligan Containers, Griffin Wheel and Iowa Fertilizer spoke to current and future students about job expectations and how what they are learning at the SCC Keokuk campus applies to their facilities.